You may receive updates from WILPF US DISARM: END THE WHOLE NUCLEAR ERA, the creator of this petition. As a citizen or resident of the United States, I call upon the President to sign and the Senate to consent to ratify this Treaty. Further, I call upon the President, with the support of the Senate, to lead the way to negotiate the total elimination of nuclear weapons. The Treaty on the Prohibition of Nuclear Weapons was adopted by 122 countries on July 7, 2017. 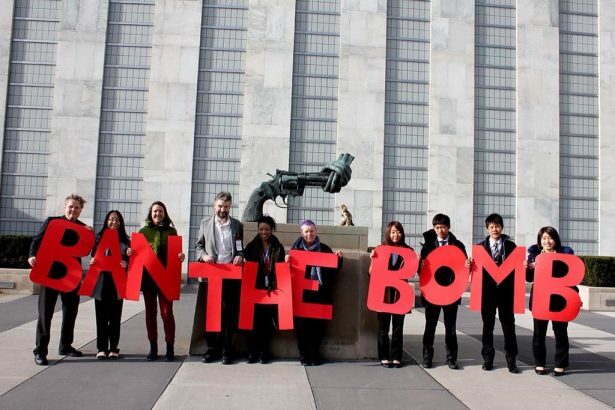 Those nations came together in first steps towards ratification of a legally binding treaty to ban nuclear weapons. The use of nuclear weapons, either intentional or accidental, will cause untold suffering to millions of people and is a threat to the existence of humankind. The Treaty prohibits, among other things, the possession, use or threat of use of nuclear weapons. When we “End the Whole Nuclear Era,” money and resources will be freed to address societal, environmental and other essential needs. We, the Women's International League for Peace and Freedom, are asking the citizens and residents of the United States to make our voices be heard by your signing of this petition. - Where are our Branches?